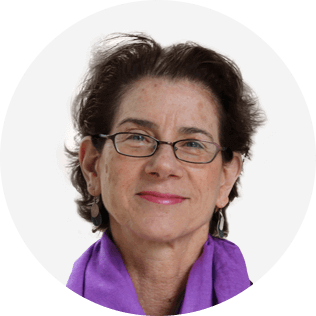 Lisa Lahey is Founder of Minds At Work, a coaching and consulting firm serving businesses and institutions around the world, and is on the faculty of the Harvard University Graduate School of Education. An expert in adult development and an experienced executive coach and educator, Lisa works with leaders and leadership teams in both for-profit and not-for-profit organizations. For the past several years, she has served as a trusted advisor and executive coach to leaders in the private and public sectors worldwide, and currently leads the Personal Mastery program in the Doctorate Program for Educational Leaders for aspiring public school superintendents at Harvard. Lahey and long-time collaborator Robert Kegan are credited with a breakthrough discovery of the “immunity to change,” a dynamic which impedes personal and organizational transformation. Her work helps people to close the gap between their good intentions and behaviors. This work is now being used worldwide by executives, senior teams and individuals in business, governmental, and educational organizations. Lahey and Kegan received the Gislason Award for exceptional contributions to organizational leadership, joining past recipients Warren Bennis, Peter Senge, and Edgar Schein. In 2013, they received the Vision of Excellence Award from the Harvard Institute of Coaching. Her books, How The Way We Talk Can Change The Way We Work (Wiley, 2001), and Immunity to Change (Harvard Business Press, 2009) have been published in over a dozen languages. Her latest book, An Everyone Culture (Harvard Business Press, 2016) was recently named “Best Management and Workplace Culture Book of 2016” by 800-CEO-READ. Lisa has been on the faculty of the World Economic Forum’s Davos Conference, and had her work featured in The Atlantic, MSNBC News, Harvard Business Review, The New York Times Sunday Business Section, Oprah Magazine and Fast Company. A passionate pianist and nature lover, Lisa has two sons and a daughter-in-law and lives in Cambridge, Massachusetts, with her husband. Being a terrific coach is one thing. Being an effective marketer or business developer for our coaching is another thing. Many coaches find building their business challenging, if not downright painful. They know what they need to do—follow up with contacts, participate in networking events, develop a website that captures the specialness of what they do and so on—but they don’t seem to be able to follow through consistently, if at all. Any goal that is hard to achieve despite our best efforts and sincere intentions implicates some other goal that is running us, and is usually outside our awareness. In other words, without realizing it, we are brilliantly busy accomplishing goals that “have us.” Authors, Robert Kegan and Lisa Lahey, have developed a method for bringing our hidden goals into the sunshine, the first step for succeeding with hard-to-accomplish goals. This is the “immunity to change” approach. 1. See your personal immune system to building your coaching practice (one foot on the gas pedal saying “let’s build my coaching business” and at the very same time a foot on the brake saying “no way!”). 2. Discover Big Assumptions that give rise to your immune system.